Concealer alone sometimes just doesn't cut it. Create the perfect camouflage when you prep with this under eye brightener. Apply it wherever you could use a little extra radiance and you're ready for that photo op! Keep 3 of these on-hand! I have these all over the place-car, purse and make-up table. I use this after I am completely finished with my makeup. It makes my undereye are smooth instead of dry looking. Then I place a dab on my nose, chin, and forehead and it blends beautifully even on top of powder makeup. It does not have a lot of coverage just gives me a little oomph and hydration. I have hereditary dark circles under my eyes and this product covers it! It brightens just under my eyes and doesnt set in. I highly recommend! This is an excellent concealer/brightener, does not cake or settle into lines. No crinkling. Brightens but not garish. Good product. I'm 48 years old. This does such a beautiful job brightening those darker areas under my eyes, and it doesn't look fake. I use it two ways, either alone, or after I've blended on a dab of tarte Shape Tape concealer under each eye. 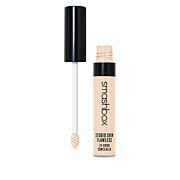 Whether with another product or all by itself, the photo op under eye brightener does a five-star job. 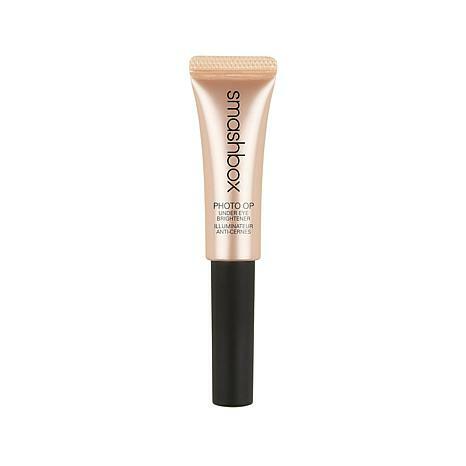 One of Smashbox's best products.